Relocation is never easy or cheap. In fact, it can be very expensive. Still, it isn’t always the case. When you know where to look, you can find great discounts on moving services. 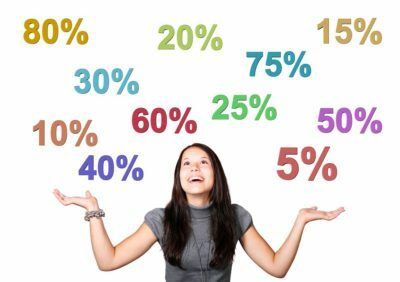 In order to save some money on the move, you just need to open your eyes and to find out how can you get good discounts. Since the most people are moving on the dry and warm weather, moving companies are the busiest during the spring and summer. They don’t have to lower their prices since they have a lot of work. When the moving season ends, the story changes. The number of relocations drastically fall during the autumn and winter. That is why you can find great discounts on moving services in this period of the year. At this time you can find reliable movers for the 20% to 50% off of their normal prices. Sure, moving in the winter season brings more challenges, but it is also the best way to save some money on relocation. Keep an eye of the weather. Although the weather forecasts are not 100% sure, check out several to find out when the dry days are expected. Choose the moving day that has the most chances to be without the rain or snow. The competition is hight at the moving business during the offseason. You will have a better chance to find the reliable movers that are usually booked months in advance during the peak of the moving season. This can also come very handy when you have to move on a short notice. 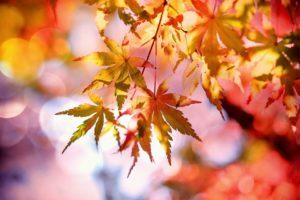 Since moving companies are fighting for every client during the autumn and winter, the competitive pricing is next-to-guaranteed. Get estimates from several companies and negotiate your turns. There is a big chance that movers will reduce their prices even more if they see that you are more interesting for the competitive firm. Cold weather can damage your belongings. If you are packing on your own, be sure to protect them accordingly. Use the additional moving services. Because of the low demand, moving companies not only lower their quotas, but they also have great discounts on moving services that are paid extra. That way, you can hire professionals, like www.affordablepacking.biz, to pack your home. It will save you a lot of time and nerves, and your belongings will be packed more safely. Moving off-season is the best way to save money on the relocation. Many moving companies have discounts for seniors, students, veterans, military move etc. They probably won’t offer you one, if you don’t ask. When you are talking with the moving company representative, be sure to ask if there are any discounts on moving services that you will be eligible to. You have nothing to lose, and you can save a lot of money. By simply asking. If you are the member of the AAA, you can get really good discounts on moving services. There are several very respectful and reliable moving companies that offer AAA discounts on a wide variety of moving services. If you are the member of this association, first look for the movers that offer deals and discounts for the AAA members. Make a selection of the 5 companies that are providing this type of discount, ask them for the in-house estimation and choose the one that best suits your needs. That way you can reduce your relocation costs significantly. Couponing is an amazing way to save some money. While most of the people are thinking that they are only for the groceries, the truth is that there are coupons for everything. Even for the discounts on moving services and moving supplies. These coupons can be found in the magazines or online. You just have to look for them. In most cases, you will need to clip or print a coupon and bring it to the moving company or a store that is offering moving supplies with reduced prices. It can take a bit of time, but you can save a lot of money by finding the coupons for discounts on moving services. 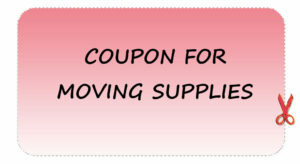 Find the coupons for discounts on moving services or supplies. Since moving business is very competitive and there are countless moving companies on the market, many movers will use discounts on moving services to attract customers. During the moving season, those discounts are mostly for the additional services that they provide. It’s s not very likely that reliable and reputable movers will lower their quotas during this period, but they usually are providing discounts on the packing or storage services. When you are relocating, you may not grasp exactly how much things you actually have until you pack them all. That is why the need for a storage unit may emerge. Discounts on the storage services may save you a great amount of money when looking for extra space to keep your belongings. When people are moving on the tight budget, they are more open to becoming a victim of the moving scam. Relocation on the restricted funds is what fraudulent moving companies are looking for. They are luring their customers with the much lower quotas and offers that are too good to be true. As they usually are. It is crucial to recognize when moving company is acting suspiciously. If the estimation of the company is much lower than the competition, there is something shady about it. Especially in the peak of the moving season. Estimation of the reliable companies should be similar. Any offer that stands out by being too low is a clear red flag. By moving offseason and using the discounts on moving services, you can hire the reliable movers that you can trust. Hiring such movers will guarantee that you will avoid moving scams. Reputable companies take hight regards about their reputation and the customer satisfaction, so they won’t engage in them. The only way for the successful relocation is to hire professional movers that have proper licenses, insurance, spotless reputation, great references, and the years of experience.